A chic and feminine addition to your Chamilia charm collection. 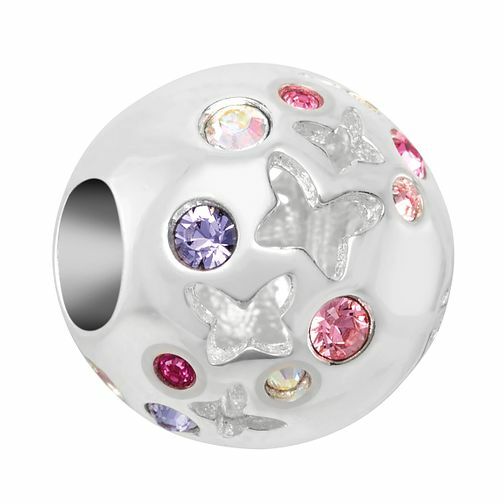 A round sterling silver charm featuring a flurry of flying butterflies and multi-coloured swarovski crystals. A pretty perfect combination! Chamilia Butterfly Flutter Charm with Swarovski Crystal is rated 5.0 out of 5 by 1. Rated 5 out of 5 by Anonymous from Looks good Colours really pop, butterflies are a nice touch my wife loves it. Almost completed filling up her Camilla bracelet.